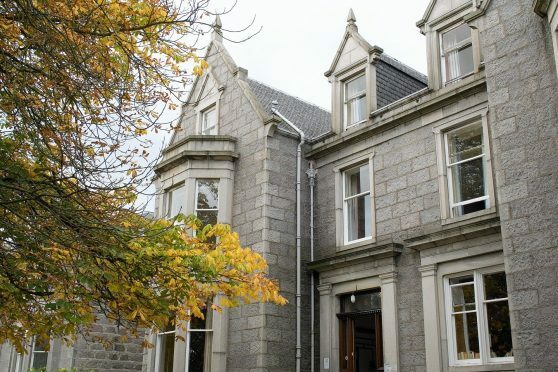 A major revamp of Aberdeen Youth Hostel is underway with work due to be completed ahead of the organisation’s 60th birthday celebrations later this year. The extensive refurbishment of the Queens Road building will include a redesign of the reception area, including more open plan living spaces and a cafe area. There will also be eight new ensuite rooms, as well as new flooring, double glazing, extended wifi coverage, additional parking and landscaping to the grounds. The upgrade is part of SYHA Hostelling Scotland’s strategic plan to upgrade youth hostels to meet guest expectations. SYHA chief executive Keith Legge said he hoped the work would encourage people to use the youth hostel as a base to explore the surrounding countryside. He added: “As part of our customer service charter, guest feedback is important to us and comments from guests at Aberdeen Youth Hostel have been taken on board whilst planning the refurbishment works. “These works include a redesign of the reception areas to create more open plan communal space which will include a cafe/dining area. “I’m sure that our planned enhancements will further boost the youth hostel’s popularity. “Aberdeen is a popular destination for all types of travellers, ideally located for those wishing to explore the rich heritage of the city and experience the attractions and hospitality of the wider north east of Scotland.